Measurable revenue benefits for your solar power system. Suncycle takes care of the technical and commercial operational management of larger photovoltaic system and solar parks. Our own teams of engineers and repair capacities ensure the shortest of response times and the best possible workmanship. 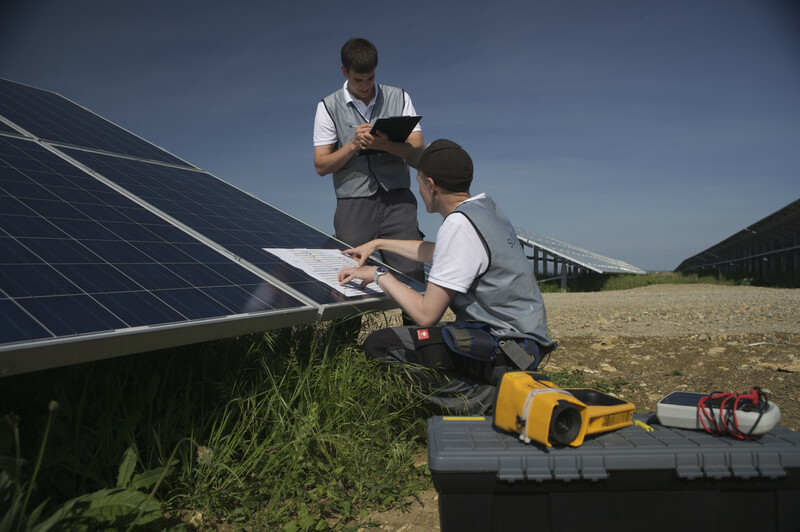 A higher system availability and improved efficiency – with Suncycle PV operational management you get a service package to maximise the earning power of your solar system. As an independent partner certified by renowned banks and insurance companies, Suncycle guarantees a professional level of service to permanently protect your investment in a green future. Our operational management is individually configured to our clients technical and commercial requirements.